Elderly are the most vulnerable group of population in the community in terms of their health as well as the nutritional status. The nutritional assessment of elderly is a huge challenge since there are numerous associated factors, which are not simple to define. The present work is an effort to improve the nutritional status of the elderly in Islamabad through the assessment of nutritional status of the elderly in Islamabad with a further objective to assess the knowledge, attitude and practices of elderly in Islamabad regarding their nutritional status. 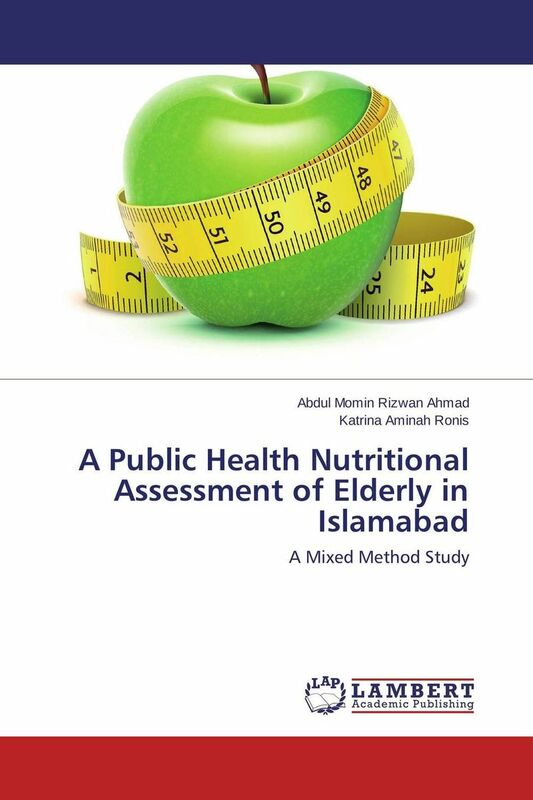 This work emphasizes the need for more research in the area of gerontology and nutrition so that the nutritional and health status of the elderly in Islamabad can be improved. There is also a dire need to amend the national and provincial health policies so that the components of health and nutrition related to the elderly may be added in these policies. Nutritional education needs to be imparted to the elderly, regarding the significance of their health and nutritional status.